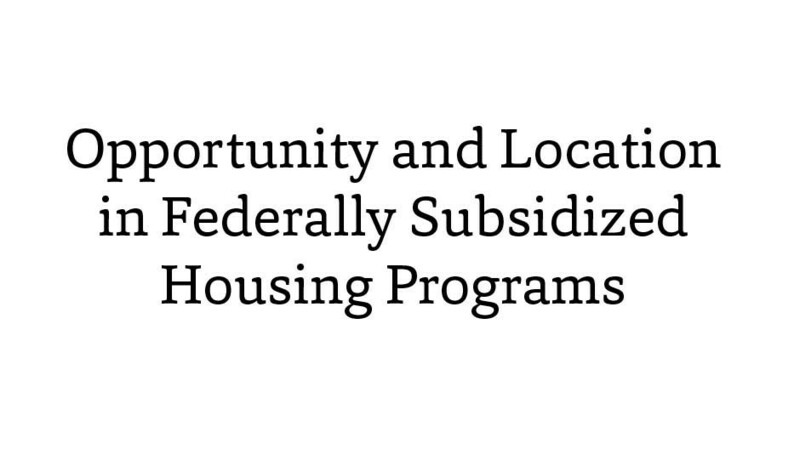 This paper is intended to present a civil rights perspective on the federal policy discussion currently underway seeking to harmonize various subsidized housing development rules across the three agencies that sponsor low income housing (HUD, the Treasury Department, and the Department of Agriculture). This “compliance harmonization” initiative has so far avoided taking on the difficult question of site selection rules in our largest low income housing development program, the Low Income Housing Tax Credit (LIHTC), administered by the IRS and the Treasury Department. In the discussion that follows we will suggest alternative approaches to civil rights site selection in the LIHTC program that are consistent with the statutory guidance for the program, and that also can integrate successfully with other important goals such as sustainability and transit access.